If there's one thing we've learnt in life, it's that the red carpet is almost always more entertaining than the award show itself. And with so many incredible artists in jaw-dropping outfits, Grammy's pretty much wins the prize for the Best Dressed awards show (for music, at least). 1. Halsey will never let us down so long as we live. 2. Man of the hour, Brendon Urie. Panic! didn't win Best Rock album but Brendon won the red carpet so it's all fine. 3. Here they are! Twenty One Pilots, pre-trouser drop. 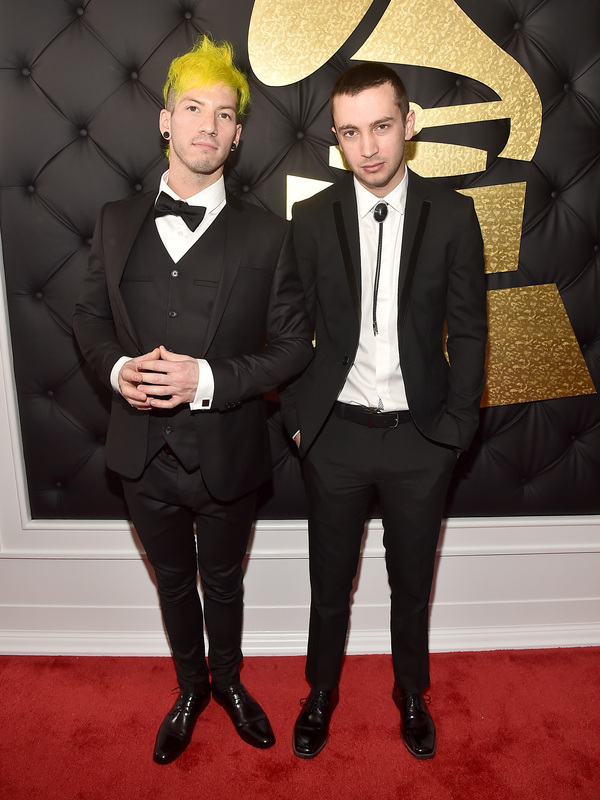 We reckon there's a 99% chance that's Haley William's goodDYEyoung on Josh's head. 4. 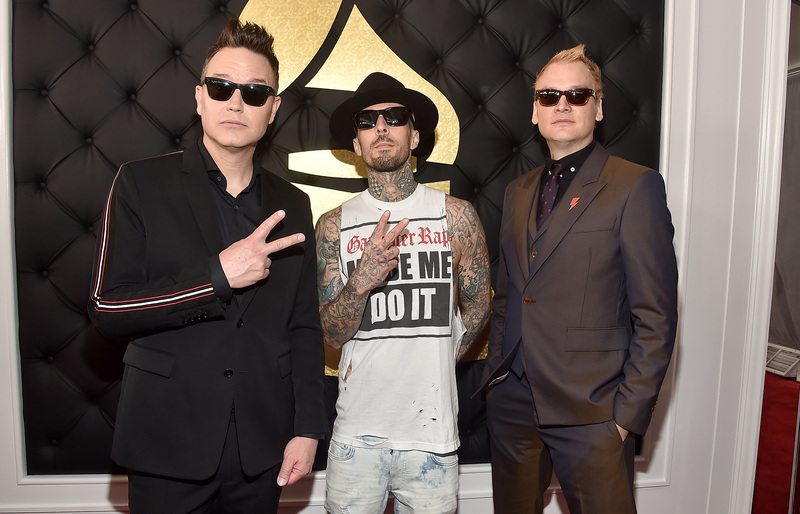 Blink 182 decided to rock the sunglasses inside look. We think they've earned the right to do that. 5. Lady Gaga with Metallica. Can't wait to see this performance! 7. Camila Cabello looked like an princess. Straight out of the Disney guide to princessing if you ask us. 8. Adele arrived in a glamorous Givenchy Couture gown and jfc it looks expensive. 9. 'Woke pop' princess, Katy Perry, looked pretty fine. You had us at sparkles. 10. Rihanna...need we say more? 11. Charli XCX doing it right.